With the start of a new year, many people take stock of their life in the last twelve months: choices made, goals achieved, promises broken, dreams unfulfilled. In optimistic form, resolutions are made in the hopes of making this year even better than the last. In a similar vein, I’ve been thinking about my travel experiences. The last decade and a half of travel has shaped my life in ways that I didn’t expect and in ways that are fundamental to the essence of why we must travel. In taking stock of my own “travelution”, I am even more resolved to seize every opportunity to travel, to continue learning about my world and about myself, and to make each travel moment better than the last. The original version of this article appeared on Pink Pangea, and I am grateful to Jaclyn Mishal and Rachel Tager for encouraging me to think about how travel has changed me and for letting me share my thoughts with their readership. Once upon a time, I was a travel idiot. About fifteen years ago, on my first couple of trips to Europe, I researched virtually nothing in advance. I was lucky enough to show up at the right hotel and have the right currency in my wallet. I once forgot to notify my bank about my travels, and they froze my one and only credit card while I tried to check into a London hotel. On that same five-week trip, I had packed such a huge and heavy suitcase that I couldn’t exit le metro without two Parisian, shaggy-coiffed teenagers carrying my blue behemoth up three flights of stairs for me. So embarrassing. Since then, I’ve learned a lot about being better prepared. I pack lighter (just a carry-on and a day bag), I always inform my bank about my travels, I have back-up money options, and I thoroughly research my destinations in advance, traveling with good guidebooks and apps. But beyond the nitty-gritty of basic travel skills, my travel world has changed a lot, too, and continues to change with every new experience. Early on, I floated through Europe with wide-eyed wonder, so thankful to be traveling at all. Everything fascinated me: sounds, scents, history, architecture, art, food, accents, the antiqueness of the buildings, the cleverness of public transportation, and the differences and similarities between these places and my home. I cried in every church I went into–awed by the time, the devotion, the energy, the labor, the money, the faith, and the love of God it took to construct such magnificent houses of worship. My students started taking bets on how many columns I would pass inside the church before I started weeping. With my necked craned high and with my eyes marveling at every stone stacked in a time when faith was strong and cranes didn’t exist, I never made it past the second column without tears starting to flow. 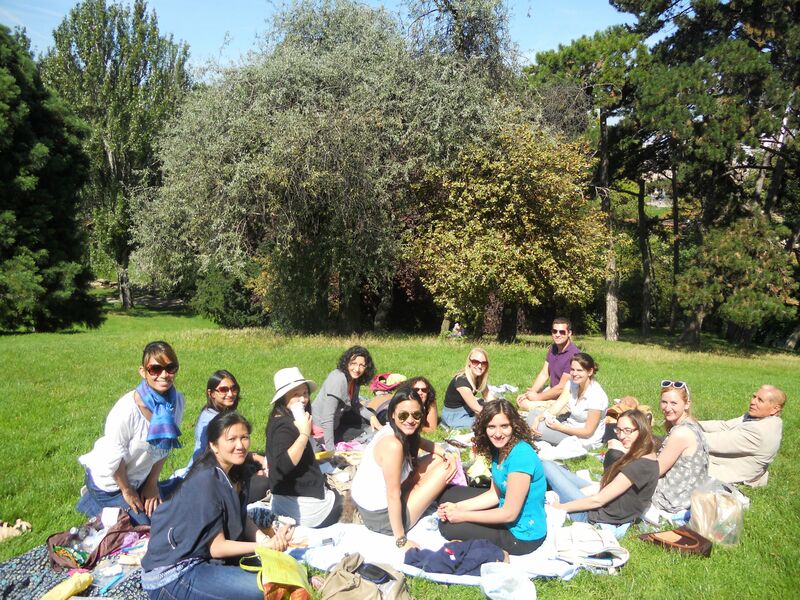 Picnicking in a Parisian park with classmates from the Sorbonne. Admiration stokes curiosity. I found myself wondering more and more about the places and cultures I was visiting. Inspired by my growing love of travel and by my love of languages, I did summer language programs: once at the University of Santiago de Compostela in Spain and twice at the Sorbonne in Paris. Immersing myself in the language as well as the grind of non-touristy daily life, interacting with locals, and making friends all gave me an even deeper appreciation for far-away cultures. When you take the time to really live in (and not just visit) a place, you gain an understanding of the lives of its people. You talk with your local baker who toils to provide for his family of four, with the young woman at the weekly market who is continuing her family traditions as a third-generation farmer, and with the portly old Frenchman at the cafe who wants to debate French and American politics with you because he once studied in Boston and “loves America.” The happy result: you truly personalize and humanize your travel experiences and the cultures you encounter. Studying abroad is more than hurdling linguistic barriers. You learn how the historical, gastronomical, architectural, religious, political and artistic heritages provide deeper insight into impressive and complicated societies. This quest for understanding emboldened my passion for travel. Learning begat learning. For me, Europe had become more than a place to visit historic sites, see priceless art, and taste savory foods. It was a mental playground where I could engage all fives senses in ways I didn’t even know were possible. Greater still, travel became a gym for my soul, where I could exercise sympathy, respect, and appreciation for the triumphs and challenges of other cultures. With strikes being as common as drinking wine in France, there was a demonstration in the streets of Paris on a blustery autumn evening, and I decided to join it. Marching with bus drivers, bureaucrats, store clerks, teachers and their students through the broad boulevards of Paris–boulevards that had once been narrow, cobble-stone streets and then widened in post-revolutionary times to prevent angry citizens from hiding out from cannon fire–I felt the revolutionary spirit live on in the French people, with footsteps as drumrolls, calling the citizenry to stand up for what was right, to make their voices heard, and to celebrate their right and duty to exercise democracy…and I got to be a part of it. Engaged travel changes us for the better. We learn. We adapt. We gain empathy. We evolve. Enjoying the essential gelato experience with my students. 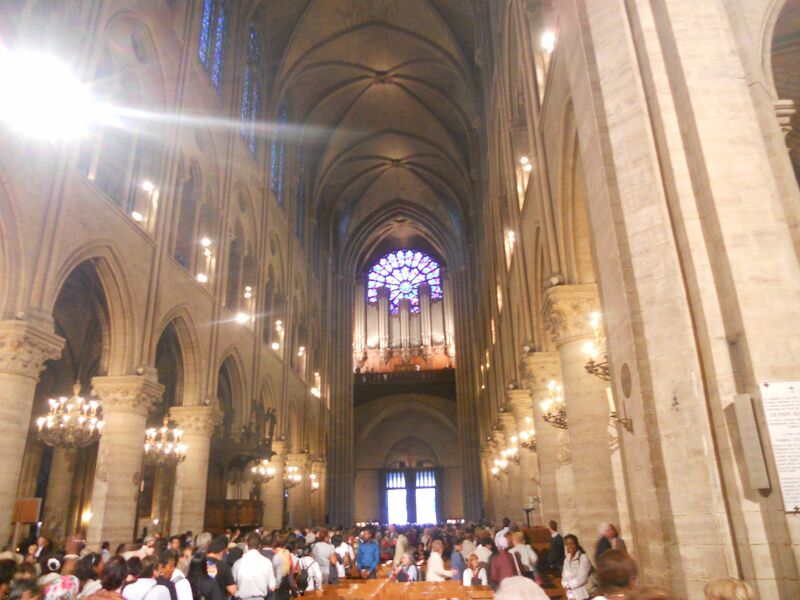 The more I experienced, the more the tour guide within me welled up. I wanted to share those experiences with others. Except for the summers when I studied abroad, I spent two weeks a year traveling through Europe with some of my high school students, and then spent the rest of the summer traveling on my own. 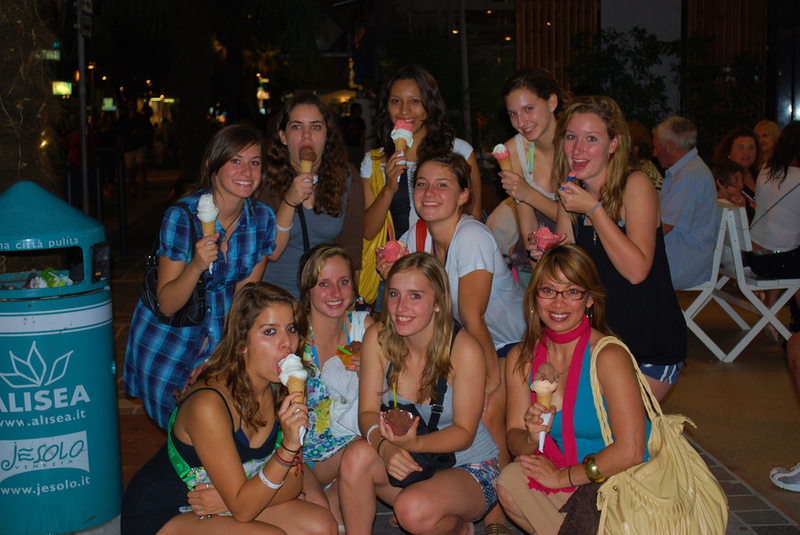 Each itinerary differed from year to year, but for me the goals were always the same: to teach my students how to become practical and savvy travelers and to help them become better-engaged citizens of the world. It sounds like a lofty goal, but I learned early on that if you set the bar low, people tend to reach only that level. If you set the bar high, they will surely rise. Even if I’d been to a place several times before, my students gave me a chance to see it through their first-time eyes, and it renewed my sense of wonder. Their awe reminded me of my first trip to Europe and how amazed I was at finally standing before things I had only read about in books, seen on film, or heard in songs. My students’ unfiltered inquisitiveness reminded me to challenge long-held beliefs, to constantly seek the truth, and to embrace the unknown. I remember once in Assisi, after having visited the Basilica of St. Francis and seeing the passionately painted frescoes of Giotto, one of my students came to sit by me on a bench made shiny and wavy from generations of faithful parishioners. His sister had recently passed away, and I had not wanted to initiate conversations that might make him uncomfortable. He had seemed pensive wandering through the basilica, and I worried, knowing that his family was not very religious, that he seemed to be having a miserable time visiting so many churches, reminded of his loss or regretting coming on this trip. To my surprise, he turned to me and said, “Thank you.” He seemed older, more mature. I asked, “Thank you for what?” For the opportunity to leave his pain at home and to see the real world, he told me. My students let their guard down and dance with local teens near the Trevi Fountain. Not every moment with my students was as profound as that. But even in small moments when I could see my young travelers let their guard down, when they would be in the moment and allow themselves to be engaged with the culture, I shared in their triumphs. 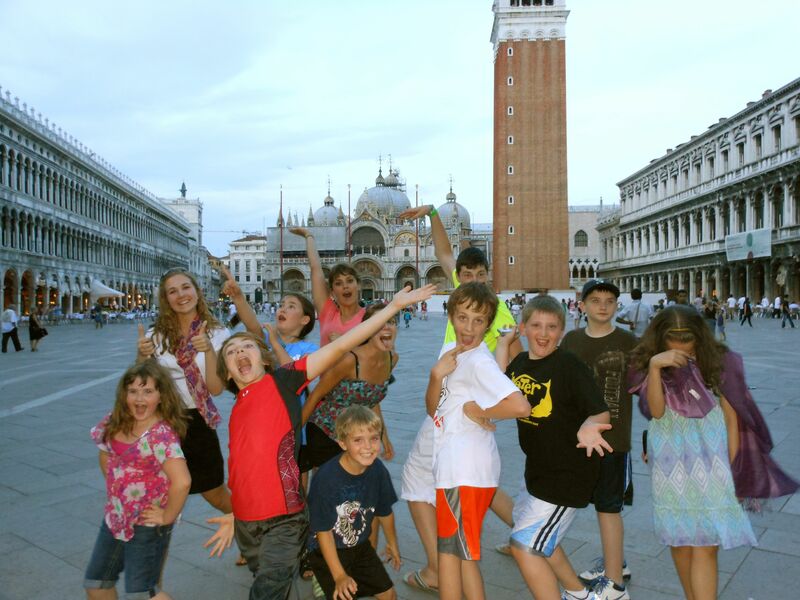 Whether it be dancing in the streets near the Trevi Fountain with local Italian teens, embracing their independence by mastering how to get from Picadilly Circus to St. Paul’s Cathedral on the Tube, or boldly ordering in French their first escargots, my students were learning from their travel adventures and creating their own unforgettable travel memories. Their travels were actually transformative. And while I provided my students with opportunities that would help shape their worldviews by expanding them, they returned the favor by providing me with invaluable lessons about travel that I carry with me on all my adventures. Even the youngest of us can teach us to unleash our enthusiasm for travel. I’m no longer a classroom teacher, but I still love to travel and still enjoy opportunities to be a guide. I try to strike a balance between the “intellectual” and “playful” sides of that. I relish new opportunities to share what I’ve learned and to help people make the most of their own travel dreams. With my blog, I work to reflect thoughtfully on my experiences and, hopefully, to encourage others to nurture their passions as engaged travelers. And I anxiously await my future travels and all the ways they will continue to shape and re-shape my life. Let travel change you, to be an education, and experience your own “travelution”. These days, my classroom has expanded, and I’m teaching travelers about Europe. I just found your blog and it’s wonderful. You are a great writer! I’m looking forward to reading about your future adventures. Thank you so much, Erica! I’m grateful for the words of encouragement, and I’m glad you’ll be following my blog. Yes, Alisa! I love it! Now I’ll be singing that all night. Hi, KC. It’s great to hear that you are enjoying and learning so much from your travels. I’m sure you have wonderful stories to share. As it is right now, I’m opting not to have guest bloggers. This blog is cathartic for me to be able to put my thoughts out in a written form, allowing me to process my own perceptions and experiences. I’m sure you’ll find your own venue to let you share your travel passion with others. We are in a loft in Lauterbrunnen on a second trip the Jungfrau mountains.As I lay here waiting for the rest of the world to wake up I read your blog. I try to explain our love of traveling to others and your explanation says it perfectly. By the way, everyone here has Ricks book. Thank you both for helping us open up our lives to such wonder. Hi, Linda! 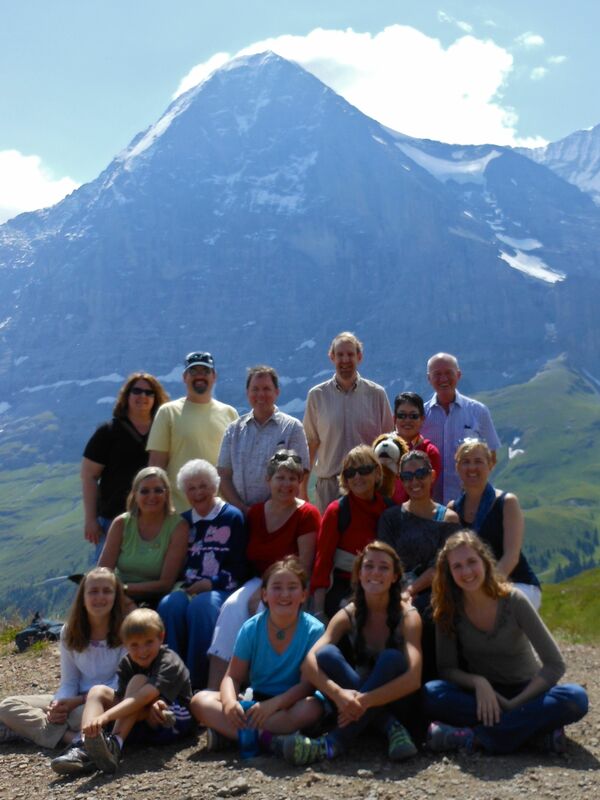 I hope you’re having a great time in Lauterbrunnen, using Rick’s book and making discoveries and magical moments of your own. I’ll be there in just a few days. Thank you so much for reading my blog and for sharing your lovely compliment. I’m really grateful. Be well, travel well.